Florida has no state income tax. Unlike other states which have both state income taxes and state sales taxes, the state of Florida receives its revenue from a state sales tax. This appeals to many who are moving to Florida to escape their states’ income taxes and , more importantly, to have financial liberty. Residents choose when they pay state sales taxes by their spending habits . All the while all people who make purchases in the state contribute to the state coffers. 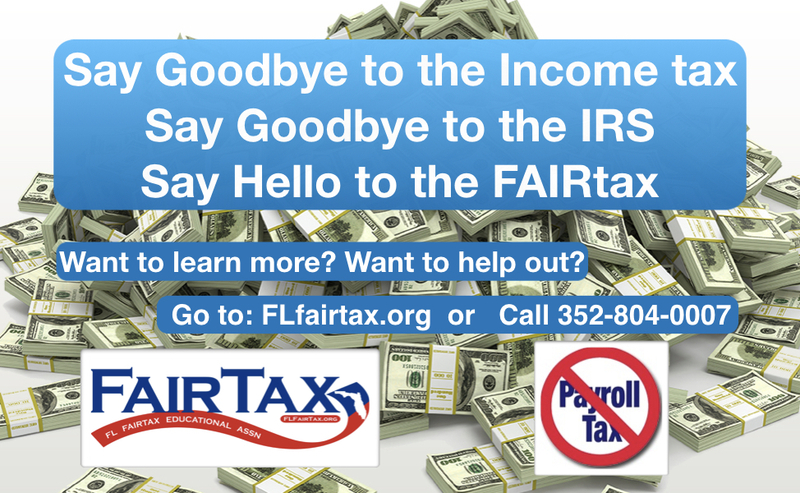 What is working best for Florida is also best for the country by having FAIRtax ,the national sales tax, provide the same amount of federal revenue and apply fairly to all citizens. Today seniors are not tax free as they, like all consumers, are still paying over $0.23 per dollar in hidden/embedded business taxes that are collected through higher prices. 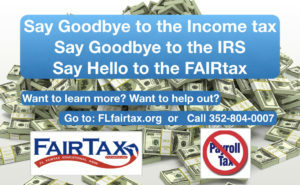 The FAIRtax eliminates this deceitful tax practice. The bill replaces the current standard deduction in the income tax form with a monthly tax refund called the Prebate. That amounts to $233 per adult and $83 per dependent to untax all legal residents up to subsistence level spending. Thus you control how much tax you pay. You are in charge of your effective tax rate by your spending habits.